Are you ready for Giving Tuesday tomorrow? Early donations today will count toward the Thirty-One Gifts match up to $2 million of product! As he got older and became more independent, he started dragging his blanket around the house with him as he played. It’s no wonder that the word security is often used to describe these kinds of blankets. As children grow older, they spend more time exploring their world as they seek independence, and having something that is constant — like a blanket — is comforting to them. As a mom, it was nice to know that all he really needed to feel safe, warm, and cared for was his Pooh bear blankie and his mama. 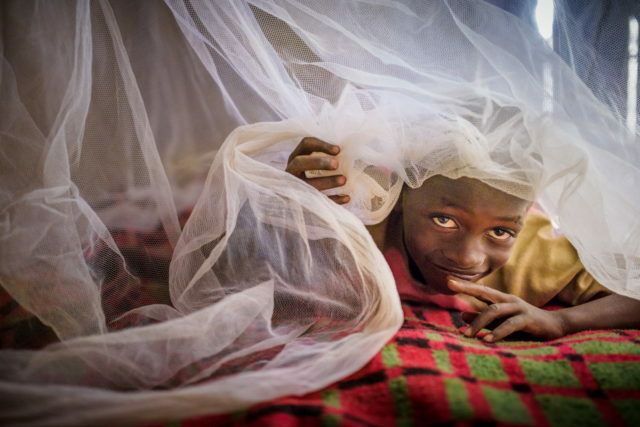 I want to share a few stories with you today about a mother in Uganda and a mother in Zambia who received blankets as a gift for their newborns just like I received a blanket for my son. “A child should not be exposed to the cold; it should be kept warm always.” These are the words of wisdom that 34-year-old Margaret Ayo, a teacher and mother of seven, recites to every mother with a child under the age of 5. 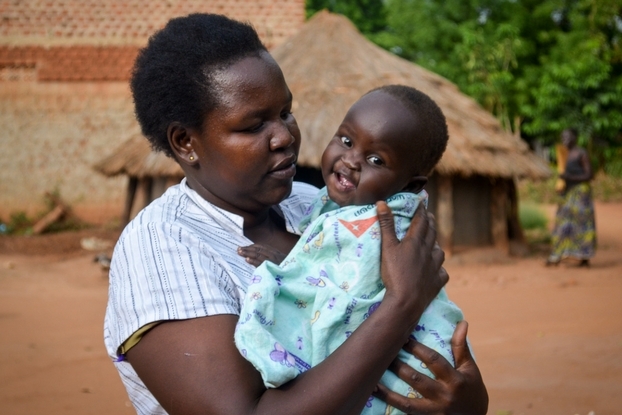 Margaret is nursing her 9-month-old daughter, Esther, who is sick with pneumonia. Esther has been sick for two weeks, having spent one week in the hospital. Apart from the medication that Esther is receiving, something else unexpected is supporting her recovery. 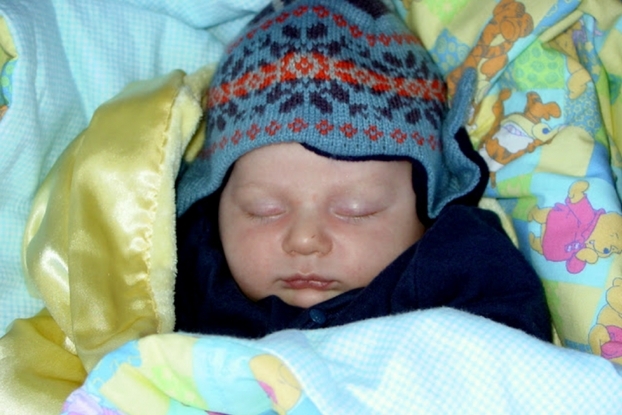 A baby blanket, or swaddling blanket, has become one of Margaret’s treasured possessions. “Whenever it gets cold, I wrap her in it so that she feels warm. Even after bathing her I put it around her so that the cold does not get through to her,” Margaret says. She explains that the nurse at the hospital told her that although pneumonia is caused by bacteria, it is exacerbated by exposure to the cold. She explains that it has been really cold lately because of the rainy season. 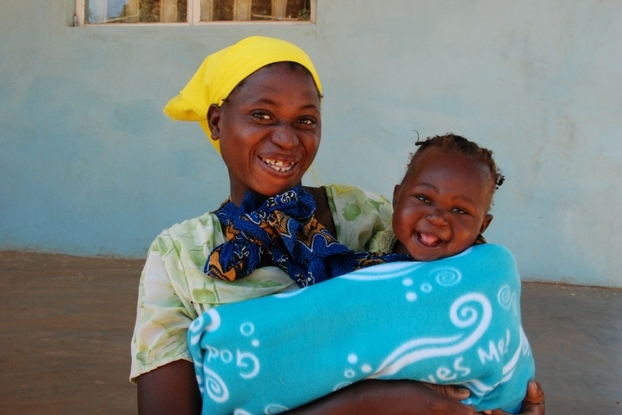 Having this blanket gives Margaret the feeling that she is able to help her child in her recovery. In a district where most of the people are low income earners and can only afford the basics of life, it goes without saying that clothing, particularly warm clothes, are a luxury. Recognizing this need, World Vision distributed 138 baby blankets that were received as a gifts-in-kind (product) donation, many of them to mothers like Margaret. After receiving the blanket, Seida is so jovial that she seems the happiest of all. 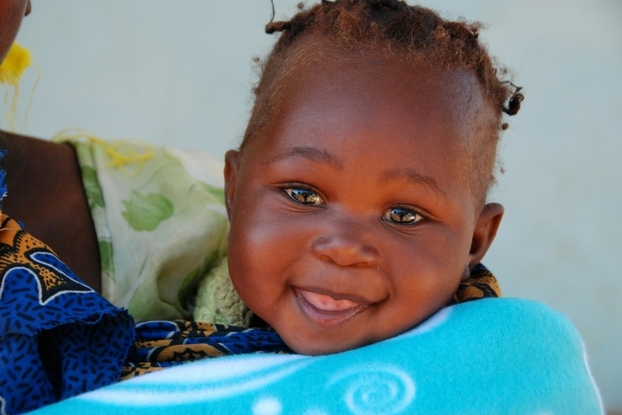 Baby Joyce is also smiling now as if she understands the precious gift she has just received. “As you can see I am not the only one who is happy; my daughter is happy, too. We never expected this,” Seida says joyfully. I’ve spent time meeting and talking with moms in Uganda and Zambia, and they are just like me. They want to provide the necessities for their children, and they want to be able to give them the warmth and security their children need to grow and thrive, but because of life circumstances, these mothers can’t always give them even the most basic necessities. Tomorrow is Giving Tuesday. Any gift given to World Vision tomorrow — and today! — will be generously matched with a product donation from Thirty-One Gifts up to $2 million, so any donation you make will have twice the impact for helping families in need around the world. You can choose any item to donate through World Vision today, but if you want to make a direct donation to support new mothers and their infants, I recommend the new mother and baby kit! 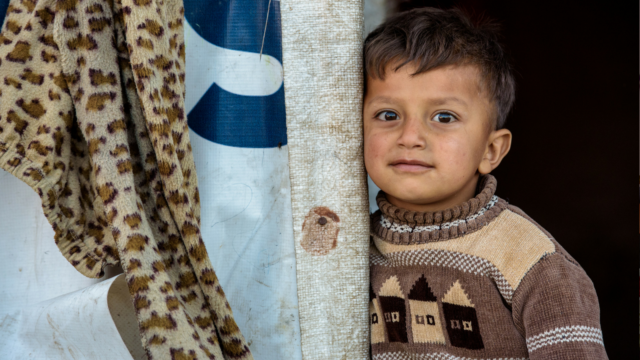 Double the impact of your donation for children and families in need. 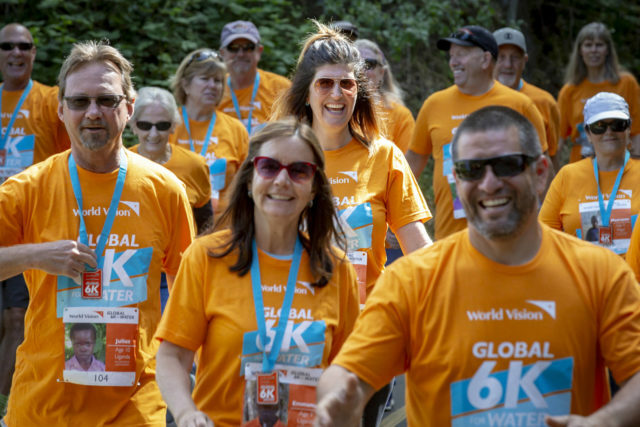 Make your Giving Tuesday gift to World Vision today!